Communication could be said as the back bone of any institution. Without the smooth flow of communication nothing is impossible. Communication is required at each and every stage and it happens internally and externally both. Internal communication is that communication which happens inside the communication and external is that that happens with outer world like your customers. There are many environmental factors that affect a business and to handle all those things a proper communication is required. For any big enterprise to stay in touch with us customers are essential , and for that they use phones or mails to reach us. Mobile phones have become a primary source of communication everywhere and for big businesses it is difficult to handle all the calls on one phone. But yes, it doesn’t mean that you need lot of phones for every phone call. Now it is much more convenient to do all this. There is new Business phone system that has developed to support this communication flow. Now through one number a business enterprise can handle all the phone call they are receiving. Customers need not to hold for much longer to call a company and even business enterprise can contact their customers anytime via the call records. · Call forwarding: Now in new business phone system there is a feature of call recording. If, a person calls and it’s getting engaged then their call will be automatically forwarded to the next person and that next person will answer it. · No charge: There are toll free numbers which many enterprises use and it allows a person to call anytime freely and he wouldn’t be bearing any cost for it. All the costs will be incurred by the enterprise as they will pay a subscription amount in lieu of it. · Call recording: With new business phone system, you can record calls. It allows you to keep a record of your customer and will help as a feedback for you. · Text facility: Suppose if a customer is busy and he don’t have time to call. Now the new system allows him to text whenever he wants. The text facility is also a free service these days. · Remo table: This new business phone system has a mobility feature. If ever you shift your business somewhere you need not to change your number. These new business phone systems allow you to take your number anywhere as they are applicable nationally or even internationally. 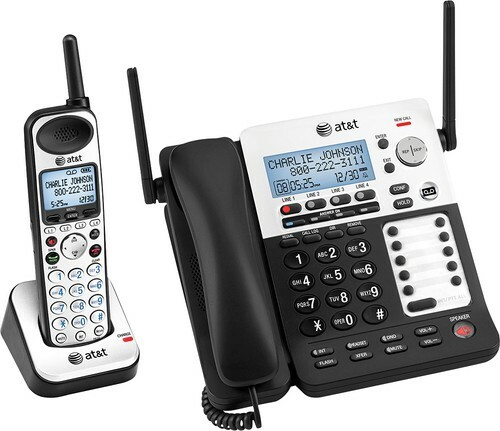 For getting a new business phones system one needs to contact a company that deals in business phone system. There are many companies out there who provides this facility but each company have their terms and subscription fee. You just need to figure out which company is perfect for your business. There are companies those who provide monthly rental service and there are some those who deals in overall subscription at once. So, it’s a matter of preference which suits you.